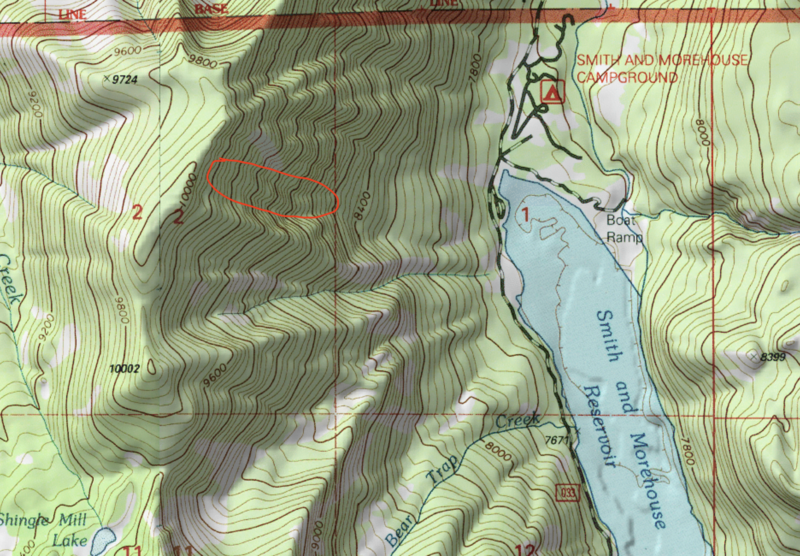 There was a mid-day natural avalanche cycle west of Smith and Morehouse Reservoir. We observed numerous small natural slides that averaged 50' wide and would run around 100'. These ranged from 4-8" deep. This activity was observed from 10,000' down to around 8,500'. We also triggered 1 slide with a ski that was around 8" deep and ran ~300'. All activity was in treed areas. The map below indicates the location of the activity we observed.